Thanks to Jgwman for creating the first version of Item Location Randomizer. Part of this mod's code is still his work. Thanks to all who worked on the original DS2 and DS3 tables, facilitating the development process of mods such as this. 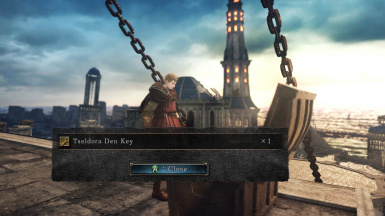 Thanks also to HotPocketRemix for providing inspiration with his DS1 Item Randomizer. Option to randomize keys. Specific algorithm places all keys to locations that are reachable and ensures there's no soft locks. Option to randomize Estus Flask, Dull Ember and White sign Soapstone. For the first two you can also chose between easier locations or any locations. Option to cross-randomize between World locations and enemy drops. Both of these are always randomized but you can choose if they are randomized separately or together as one item pool. Hint list and cheat list for key items. Cheat list for world locations. Which items are not randomized? Server items (covenant loot) remain in their original locations but covenant joining items and ranking prizes are randomized. What is counted as a World location? What are counted as keys or key items? "Keys" are all the uniqe items that work as keys (open a door or an area) for example Soldier Key, Frozen Flower or Ashen Mist Heart. You can chose whether you want to randomize these or not. "Key items" include also Estus Flask, Dull Ember, White Sign Soapstone, Souls of a Giant, Smelter Wedges, fragrant branches, Pharros' Lockstones, Sublime Bone Dusts and Estus Flask Shards. Mod generates a hint list and a cheat list for all the key items, so If you are lost, check first the "Key Items Hints.txt" file and if that is not enough, then "Key Items Cheats.txt" file. I can't find this one key! Where can the keys actually go? Licia of Lindeldt can always turn the rotunda, but if you randomize keys, she will not drop Rotunda Lockstone upon death (it will be somewhere else in the world). So, if you want more difficulty, randomize keys, kill her and try to find the lockstone by yourself. Fragrant branches are always randomized, but the mod places them so, that there can not be a situation where you can not unpetrify Rosabeth. If you have randomized the estus flask and then find estus Shard before the flask, don't try to upgrade the flask by giving the shard to Emerald Herald. She will take the shard, but you'll just lose it and you still won't have the flask. Just save the shards until you find the flask itself. Download the *.zip from the "Files" section of this page. If you do not have Cheat Engine, get it here. Make sure to extract the table from the *.zip before using, so the table can automatically save your settings and cheat lists. The directory to which you save the table doesn't matter; anywhere you can quickly access it is fine. Launch Cheat engine and DkS2: SotFS (either order). Open the *.ct (Cheat Table) file and attach SotFS to cheat engine. 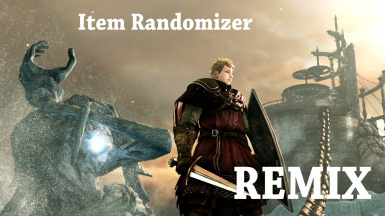 Now check the box by "Item Randomizer REMIX 2.0" and you will see all the other options. Check the box by "Information" for additional instructions. You will have to launch the table each time you want to use the randomized loot. "Load Last Settings" allows you to load the last automatically saved settings from the "Item Randomizer Settings.txt" file in the same directory as the table. "Item Randomizer Settings.txt" file also contains last used seed. If you don't select "Load Last Settings" and then randomize, new seed will be generated, so I recommend to manually backing up the settings file.